It was a year or two after bringing in professionals to manage their vineyard that Sean and Sue Delaney noticed all the insect and aquatic life around their dam had disappeared. “We realized all the herbicides, pesticides and fungicides the contractors were using was running off to the holding dam and killing everything off,” Sean explains. At this stage you may be thinking: ‘biodynamics – yes, heard of that – Rudolf Steiner’s take on organic farming, isn’t it?’ and, yes, that’s part of the story. But biodynamics also requires planting, cultivating and harvesting according to the lunar calendar, as well as more spiritual aspects that critics have compared to alchemy and magic – such as creating compost improver from ‘Oak bark fermented in the skull of a domestic animal’, fermenting dandelions in a cow’s stomach for another preparation, stirring spray solutions in alternative directions for an hour to energise the mix, and burying a cow’s horn to improve the soil’s condition. Such unorthodox methods might raise eyebrows in a Nimbin commune, so what was the appeal for city professionals with accounting and engineering backgrounds? Sean quotes pruning as an example. “When you’re pruning, you’re cutting 70-80% of the plant away, creating large wounds and increasing the chance of disease; in biodynamic culture you wait until the sap is moving up into the plant so when you cut the plant the wound will be wet – if you cut at a different part of the cycle when the sap is going down, you could pull disease into plant. 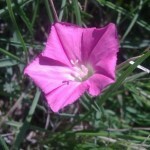 “So I tried it and cut the plant when the lunar calendar says it’s good to prune and [the wound] was dripping like a tap. I tried again four or five days later and it was dry. I did it a few times with different plants and it was always the same. Because biodynamic methods aim to improve the soil health, and soil plays such a key role in determining a wine’s taste, biodynamic principals are being adopted by a growing number of wine makers who believe it improves their end product. 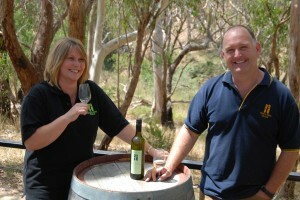 The Delaneys’ winery is the Adelaide Hills’ only cellar door in the area to be “climate action innovator and advanced eco-certified” and their business model has won a slew of tourism and environmental awards. 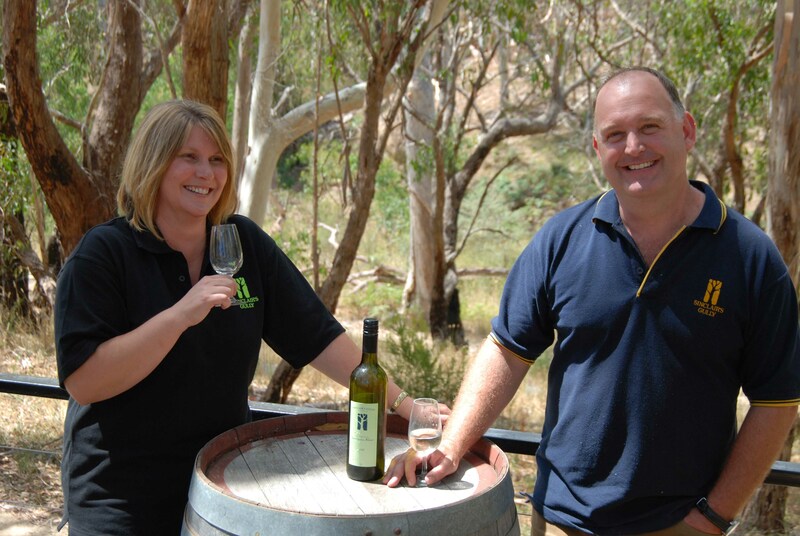 Sean and Sue are also happy with the Sauvignon Blanc and Chardonnay their vines are producing and their sparkling wine has been ranked an impressive 93 in the prestigious James Halliday rankings. However farming was not even on the radar when they bought their 10.5-hectare patch of bush in 1997. “We had no horticultural or agriculture background at all, but we had been looking for a project we could work on together and we fell in love with the property,” Sean says. 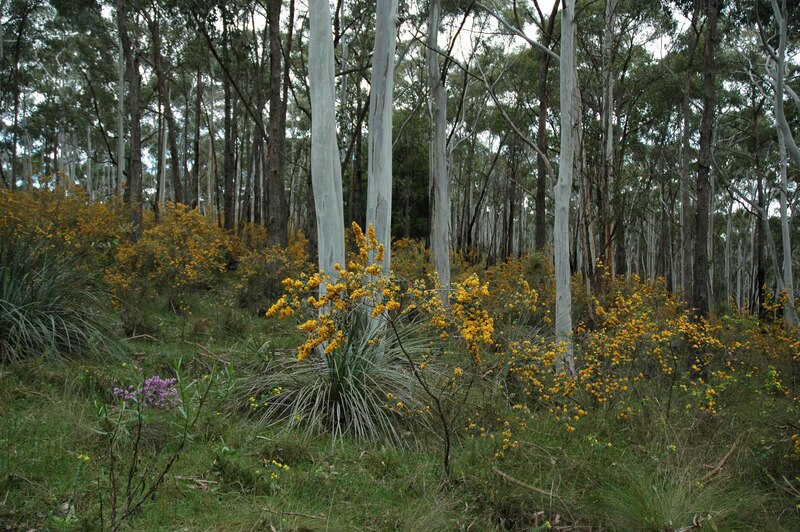 The land is home to a miraculously well-preserved stand of Candlebark woodland – an endangered ecosystem that has the highest conservation rating in the Mt Lofty Ranges. “But the trees had been cleared from the top 5 acres – it was too big to revegetate and in ’96-’97 there were good tax incentives for primary production. Soil samples suggested it would be a good site for cool-climate grapes or olives – well, olives were a weed species that we were pulling out on the other side of hill, so we looked at grapes. Aware of their land’s value in terms of habitat and biodiversity, the Delaneys have put huge amounts of time, money and passion into restoring its natural balance. “Only 2% of remnant vegetation remains intact in South Australia,” Sean explains. “A lot of Candlebark woodland has been grazed, so you get the beautiful white trees and no understorey; our property has about 150 plant species and supports 66 birds,” he says. However the Delaneys’ block was still under threat from weeds. “Our biggest asset is the native seed still in the soil – it can stay viable for many decades – but our biggest liability is the weed seed that is also in the soil,” Sean says. Their solution was to use “strip burning” techniques; burning off to sterilize the soil and create light and space to encourage seeds to germinate. 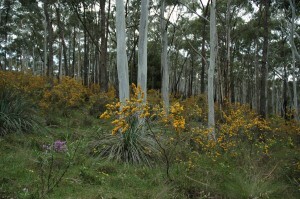 Some 600,000 plants have also been planted on the property and, through local Landcare group, Sue has recently won a grant to establish a biolink between Morialta to Coralinga parks, covering 260 hectares on 19 adjoining properties – an essential feature in a landscape where fragmentation is one of the greatest risks to remnant vegetation. To complete the sustainable picture, the business has a policy of zero waste policy (“you buy differently and do a hell of a lot of washing up,” says Sean), all water is harvested and reused on the property and, to attract beneficial insects and increase biodiversity, native grasses are being replanted between the vines. As if repaying them, nature is rewarding their efforts. Guided wildflower walks, live music events and the kids’ discovery trail through the bush are nearly as popular as wine tastings and South Australia’s Natural Resources Management Board uses the property as a showcase. Interestingly, since adopting biodynamic principles, the vines’ yield has actually dropped by a third, but the quality has improved, and they save money on sprays. Plus the frogs have returned to the dam. To help protect the local population of Yellow-tailed Black Cockatoos, community baiting has removed at least 2,300 foxes over 13 years. “We also have a family of Yellow Footed Antechinus living under the floor,” Sean adds. The couple is constantly amazed by the power of the Australian bush to heal itself. “Near here there’s a place that burnt down in 1980 and sat vacant for many years,” Sean tells. “A few years ago developers finally removed the concrete and a huge amount of native orchids and lilies came up; they had been buried for 37 years and yet the seed was still viable,” he marvels. “Living here, you can’t help but be affected by the beauty of the place. NATIVE grasslands on Melbourne’s basalt plains – including those in Brimbank – have been given the highest possible protection under federal law, listing the ecosystem as critically endangered under the national Environment Protection and Biodiversity Conservation Act. Ecologists nominated the grasslands for inclusion at least three years ago and, finally, on June 21, it was listed – and rated at the highest of three levels – critically endangered. Sunshine-based ecologist Simon Cropper said: “It’s a big thing because virtually every development west of Melbourne could trigger the EPBC. “Many landowners don’t relate grasslands to native vegetation; mums and dads with rural blocks may not understand [the implications]. But “with 99.99 per cent of the basalt plains grasslands in their true form now gone,” Mr Cropper said he hoped the move would halt the decline. In the advice to the minister listed on the department website, a block as small as 0.05ha – or 500 square metres – can be defined as grassland. Under the Act, any planned clearance will have to be referred to the Federal Government for approval. And, because there is no bilateral agreement between the state and federal governments, two separate applications must be made. To add to the confusion, the Federal Government’s definition of what should be protected is likely to be different to that used by the Victorian Government, so land that might not qualify as remnant in Victoria might be protected under the Federal Act. Landowners are warned not to clear any land without approval however – civil penalties of $550,000 can be levied against individuals, and up to $5.5 million for corporations, with criminal penalties of seven years’ jail and/or $46,200. While offsets can be made to compensate for lost vegetation under state law, this is not offered under the EPBC ACT, which insists the damaged land is repaired. IMAGINE having two days left to live to find a mate, settle down and lay some eggs to ensure your time on earth was not wasted. It’s a tough call even by insect standards, but is made harder for the elusive golden sun moth – once common across Moonee Valley – whose life cycle revolves around ever-decreasing patches of wallaby grass and waiting for perfect weather conditions. Researchers know that its habitat is in decline but need to know more about other factors in its life. “Volunteer monitoring will give us a bit of a guide as to what’s going on and tell us a little bit about how long the [mating] season is – we think it varies between the years,” Caitlin Griffith said. As Victorian National Parks Association’s NatureWatch co-ordinator, she will be leading some surveys this summer to count the critically endangered moth at a Derrimut site. Werribee Open Plains Zoo tried to reintroduce the moth to a four-hectare, specially planted habitat a few years ago; it took three summers to find two of the shy female moths. “We put them in with a net over them to protect them from birds and we have waited to see if any young emerged – it can take about three years – but we have never seen any,” zoo keeper Kwai Cang-Kum said. The Derrimut survey will be the first at this site, but a number of community surveys have been run at Craigieburn, where up to 800 moths have been seen. Organised by the Merri Creek management committee (MCMC), the survey information has been passed on to RMIT, LaTrobe University, the federal Environment Department and Parks Victoria. MCMC technical officer Brian Bainbridge said volunteers were still needed for the two sites being surveyed this year: the grasslands at Craigieburn and another in Campbellfield. Volunteers should register for December surveys; organisers will phone to confirm if suitable weather conditions are forecast. Contact MCMC at www.mcmc.org.au or phone 9380 8199; for Derrimut, visit www.vnpa.org.au, email caitling@vnpa.org.au or phone 9341 6513.